Online Textbooks & More: Need to Know! Directions to connect to the wireless are below. Tech help beyond these directions is limited! Device connection guidelines offered as is. To participate in BYOD (Bring Your Own Device) activities you must have a BV Technology Consent File on file. Please check with library staff if you are not sure if you have a form on file. Students will access through bvstudent, staff through bvstaff. Note: your device must have the WPA2 Enterprise option in order to connect. HP Tablet, Vista (or any PreWindows 7) OS, Palm OS, Earlier version of Kindle (Kindle Fire is the exception) & BlackBerry. This is not an all-inclusive list. There may be others that we have found. There is a staff email directory in your "Shared with Me" google docs. 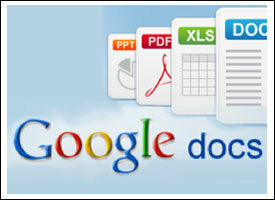 Sign into your Google Drive to access. You can also login through the gmail login. This will require 2 logins. The Blue Valley domain will open. password: bv + student i.d.